Hoff, Bushaw & Matuszak, with locations in Appleton and Shawano, is committed to providing you with quality, personalized legal services. Our attorneys and staff understand that your case is unique, and we will work with you to come up with solutions that are best for you on both a legal and personal level. 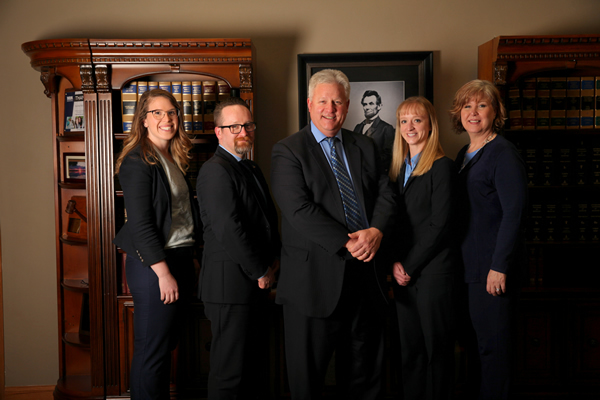 We believe in a team practice approach, meaning that our entire staff will have a working knowledge of your case and will be ready to help you. To better assist you, we offer a wide variety of legal services. Our attorneys practice family law, including divorce, post divorce, child custody and placement, child support, paternity, and spousal maintenance. We also practice personal injury, real estate, bankruptcy, business, and estate planning. We serve clients in Outagamie, Winnebago, Calumet, Brown, Waupaca, Shawano, and other nearby counties. Call us todayCall us today to schedule a free consultation.